A picnic – with or without teddy bears – is probably one of the first things that springs to mind. But are plenty of other ways you can enjoy Scotland’s woodlands and forests which are nothing less than a hive of activity at this time of year. Teeming with wildlife and home to magnificent trees of all sizes and species, Scotland’s forests and and woodlands are important and diverse habitats. Many of them can trace their origins back thousands of years, making them as much a part of Scotland’s history and folklore as its castles and ancient cities. 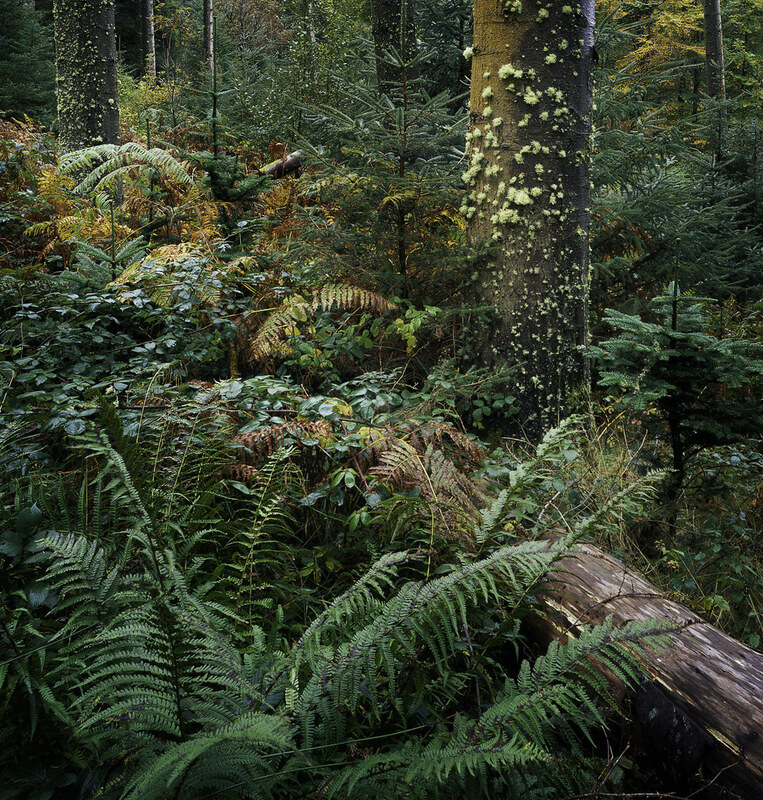 As you’ll no doubt discover, there is plenty more to these wild woods and fantastic forests than meets the eye. There are a whole host of wonderful activities and unexpected attractions on offer. Forget climbing trees. Go Ape and have a forest adventure at three thrilling aerial assault courses. Safely suspended high up in the forest canopy, tackle zip wires and slides, Tarzan swings and rope bridges at three individual courses in the Glentress Forest, the grounds of Crathes Castle and Aberfoyle. A gentle amble in the woods is one of the best ways to escape hectic modern life. At the Hermitage in Dunkeld, you can feel as though you have crossed reality into a bygone world bordering on the fantastical. This landscaped, almost cathedral-like wooded grove of towering trees overlooks the spectacular falls of the River Braan. Perched high above is the delightfully restored Georgian folly of Ossian’s Hall which offers the best vantage point of the falls and adds to the timeless, otherworldly ambiance of the place. Wrap your arms around some veritable giants this summer. Britain’s widest conifer, the Champion Redwood at Cluny House Gardens, is just one of the magnificent trees you can marvel at in Perthshire’s ‘Big Tree Country’. Craigvinean, Scotland’s oldest managed forest, boasts a number of neck-craning specimens, while the Grand Fir, which towers at 64m in Ardkinglas Woodland Garden, and the Stronardron Douglas fir which stands at 209 ft in the Hermitage, are nothing short of breathtaking. Set in the heart of the Trossachs, Queen Elizabeth Forest Park offers walkers, cyclists and horse riders 16 glorious miles of routes in and around one of the most picturesque lochs in Scotland. 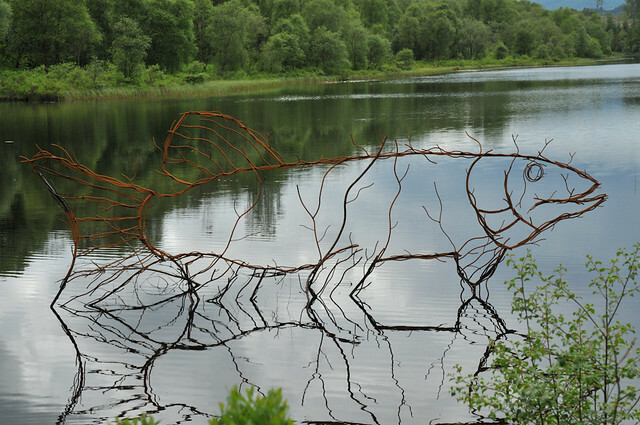 It also showcases some pretty striking and inventive outdoor art installations on the Loch Ard Family Sculpture Trail which reflect the surrounding natural environment. Step into a world inhabited by sprites and other faerie folk on this atmospheric woodland walk through the ethereal Puck’s Glen on the Cowal Peninsula. Take in a tumbling waterfalls and spectacular rhododendrons along the way. Enjoy a leisurely stroll through Tyrebagger Wood. 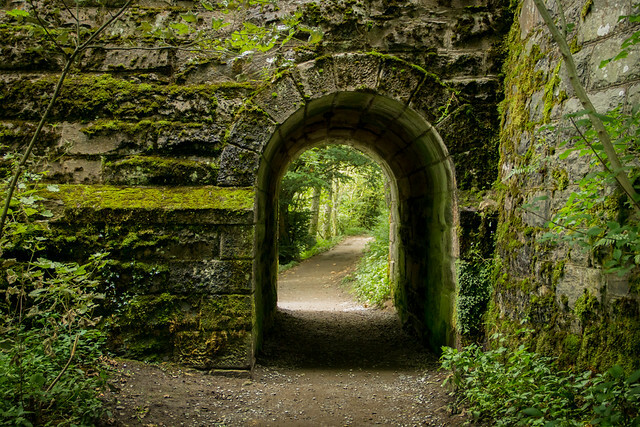 With lofty Scots pine and larch trees, pillar-like Douglas firs and surprising sculptures and artworks spread throughout, this serene woodland is the perfect place to let your imaginations run riot and partake in an ultimate game of hide and seek. With its ancient pines and spectacular mountain scenery, the Caledonian Forest is one of Scotland’s most iconic landscapes.Sadly, only a tiny percentage of the original forests survives today, the native pinewoods decimated to small, isolated remnants. Love watching red squirrels scurrying about or fancy catching a glimpse of a golden eagle soaring overhead? Or how about strolling through ancient pinewoods carpeted with heather and blaeberry? The Caledonian Forest is the place to go. Find out more at Trees for Life. The mountain biking trails at 7stanes Ae Forest are not just thrilling but knock-out gorgeous – a delight for both adrenaline-seekers and nature-lovers. Set in a sprawling forest beside a wee village of north of Dumfries, Ae Forest offers a riveting, downhill red-graded route alongside a number of gentler tracks which leisurely snake their way along the base of the valley. Find out about the the other mountain biking centres which make up the 7stanes network and discover more fantastic forest trails. Believe it or not Scotland has its own equivalent of a rain forest. The Taynish Peninsula is home to one of the largest and most ancient woodlands in Britain and, thanks to the offshore Gulf Stream, it enjoys a humid climate which allows an incredibly diverse array of plant life to thrive here. A National Nature Reserve, you will find hundreds of flowering plants here, including a rare orchid, as well as an abundance of insect life ranging from butterflies and moths to beetles and dragonflies. Look out for the beavers! At Tentsmuir you really can experience the best of both worlds. 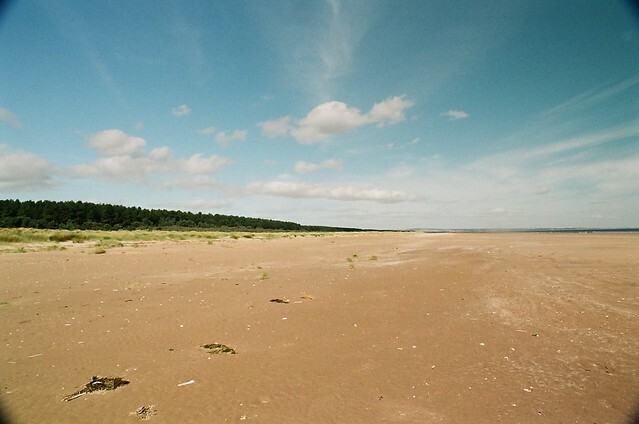 Spend a beautiful summer’s day breathing in the refreshing scent of towering pine trees as you follow the waymarked walks and cycle routes of Tentsmuir Forest before heading to the neighbouring beach at Tentsmuir Point overlooking the Eden Estuary. Feel the sand between your toes as the waves gently lap the shore. These are just some of the ways you can experience Scotland’s woodlands and forests this summer. For more information take a look at the Scottish Forestry Commission website. Keep checking our blog for more great ideas on things to see and do in Scotland this summer, and be sure to share your pics with us on Facebook, Twitter and Instagram.